Three reasons for dummies why the badger cull won’t work. 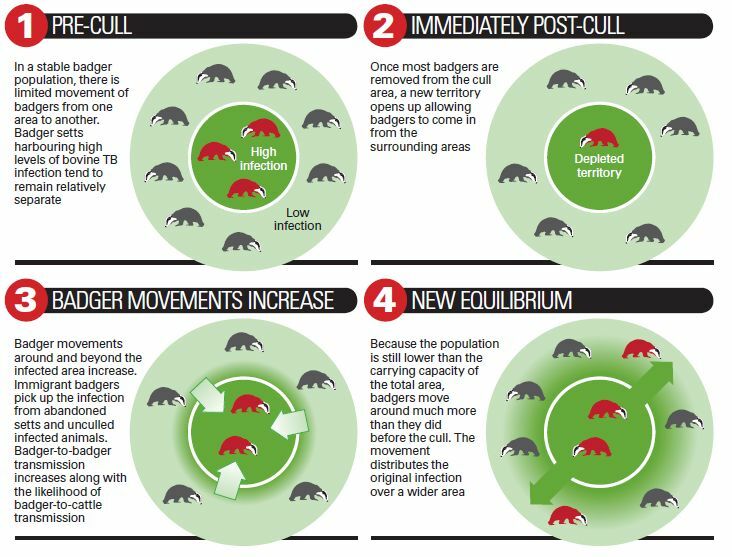 The first and main reason why the cull will not work is because of something called the ‘perturbation effect’. Badgers live in social groups of around four to seven animals and have defined territorial boundaries. Culling the badgers will interrupt these social groups which increases the risk of disease. Here is a diagram illustration how the perturbation effect doesn’t work and only makes the spread of bTB worse. 2. 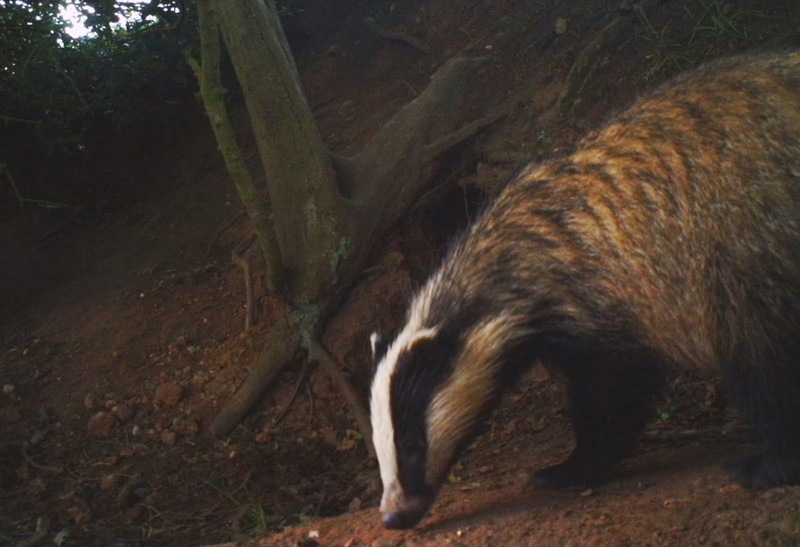 The contact between cattle and badgers is actually very rare and the problem of bTB spreading isn’t just from badger to cattle but an infected cow passing it on to another. Cattle are more likely to get the disease then pass it onto other cattle. According to computer modeling studies, herd-to-herd transmission of bovine TB in cattle accounts for 94% of cases. Also scientific evidence from the randomized badger culling trials found around 6% of infected cattle catch TB directly from badgers. Therefore to control it by culling animals we wouldn’t just have to kill badgers, but other UK species. However, we don’t know what individuals within a species carry the disease and we could be culling any animal which doesn’t carry bovine TB. To help our badgers in the UK there are many different ways, for example you can donate money into the vaccination programs, support the different charities opposing the cull, sign petitions against it and much more! Previous PostSpring flowers.Next PostA return of the badgers! Nothing like getting the facts first before culling! Excellent posting, just wish people would actually listen to the facts rather than the scaremongers!